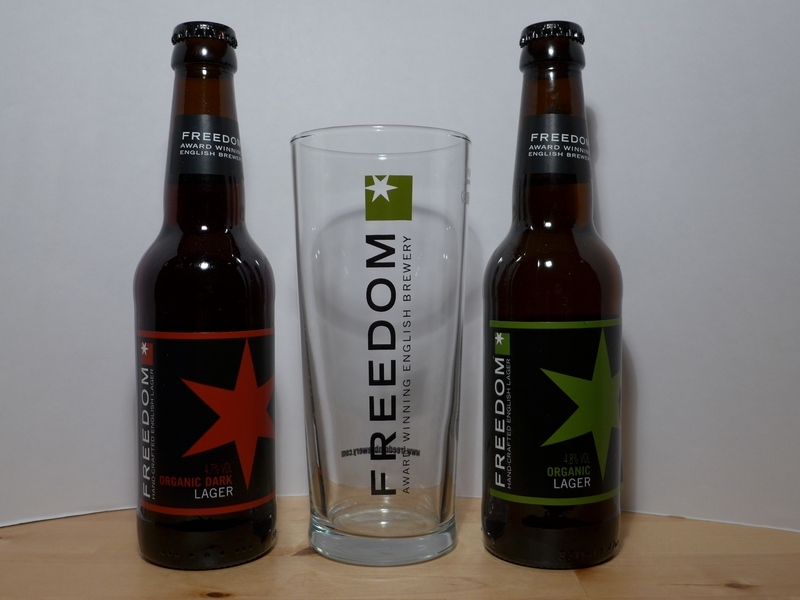 Strong branding and a cracking looking glass! 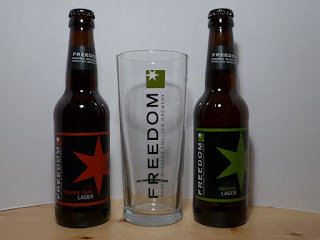 Why not join The Half Pint Gentleman and the rest of us on the night on Twitter, all you need to do is place an order with Ales By Mail, add the special pack to your basket and get both beers and the above glass for a discount price of £4.50 (instead of the usual £7.20). Sounds like a good deal to me! Look out for 'baron ratings' of these beers soon, and a big thank you to Casey Onufrey from Ales By Mail for sending these through to me! 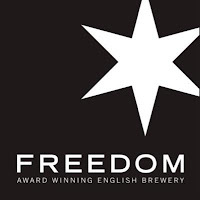 I have a lot of respect for Freedom - good English lager. The Pilsner is nice, but my favourite is the Organic Dark.